It was established in the year 2001 and was inaugurated by the former prime minister of India Atal Bihari Vajpayee. It is affiliated with Guru Gobind Singh Indraprastha University, New Delhi and now it is among the top most medical institution in India. 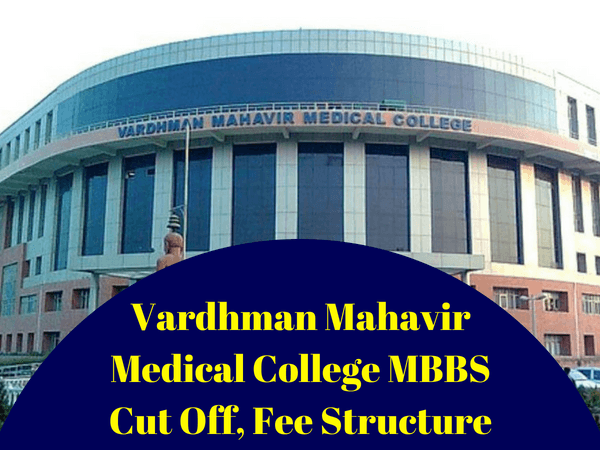 The Vardhman Mahavir Medical College provides courses in undergraduate and postgraduate level to the applicant and institution takes an intake of the student is based on candidate’s score in NEET examination and rank as well. The first batch of MBBS was started in 2002 in the month of October and till now institution has contributed almost 10 batches of doctors to the society. The post-graduation program is affiliated by GGSI UNIVERSITY and the University of Delhi. In 2017 the institution was ranked 17 among the 400 medical institutions of the country. With studies, students are also very fond of cultural activities in the college campus, every year many fest are organized by the college and all colleges from Delhi as well as from other states (medical and dental college) takes part in the various events and challenge each other and also many well pronounce artist like the Indian Ocean and Toshi has performed in the annual fest for the student. Students Every year prepare themselves and work hard for the NEET examination to give there 100% for getting admission in this college but only some fortunate students get chance to study in this medical institution. Every year institute takes 150 students from all parts of the country in MBBS and 100 students for BDS and institute also take 100 students for the PG courses and there are different subjects from which applicant can opt from. The annual fees for the applicant of MBBS are Rs. 30,455 per year and the Rs. 7000 for the hostel expenses. The applicant of BDS has to pay Rs. 29,550 per year and Rs. 7000 of hostel expenses. The fee for the postgraduate courses is around 40,000 Rs per year. National eligibility entrance test (NEET) is an entrance examination for the students who want to get an opportunity to study in medical and dental college. The students must clear this examination with great percentiles and rank to get an opportunity to study in VMMC college Delhi. Admit card of the applicant. The result of the examination. The student must pass his class 12th from any recognized school and board in the country. The minimum age for the applicant is 17 years. Applicant must be the citizen of India and should have an Aadhar card. The applicant must carry admit card and all documents on the date of counselling for his/her verification, it will be done by the university and then the student will get admission. The cutoff list will be declared in the two formats for the student, one is All India Quotas and other is State ranking. It is important for the student to get good rank in the NEET exam to get good medical and dental college in the state and in any other state of India. NOTE- The above article is based on Vardhman Mahavir Medical College and Safdarjung Hospital Expected NEET Cut Off 2018. We have tried hard to give you all possible details possible. We cannot guarantee on dates as they are subject to change because of any unforeseen event. Some are tentative dates and will get updated soon. However, feel free to contact us any time by replying in the comment section.